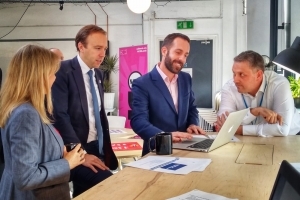 Ripple Foundation is partnering with the Discovery Data Service (DDS) and driving success for the NHS by transforming digital healthcare and contributing to the interoperability agenda. The cultural fit of working collaboratively with open source solutions has allowed the development and delivery of innovative solutions. The DDS uses a publish and subscribe model. Subscribers are health and care organisations who express an interest in accessing a subset of data for a particular purpose. Publishers are health and care provider organisations who control their data and agree to publish their data once, in a way that can be accessed by many subscribers. Only systems can interact with the data service; users do not directly interact with the service and can only obtain data through the system(s) of their choice. Regionally based data sharing agreements match multiple publishers to one or more subscribers for particular pre-agreed purposes. Data cannot be provided without adherence to a set of rules derived from the data sharing agreement. 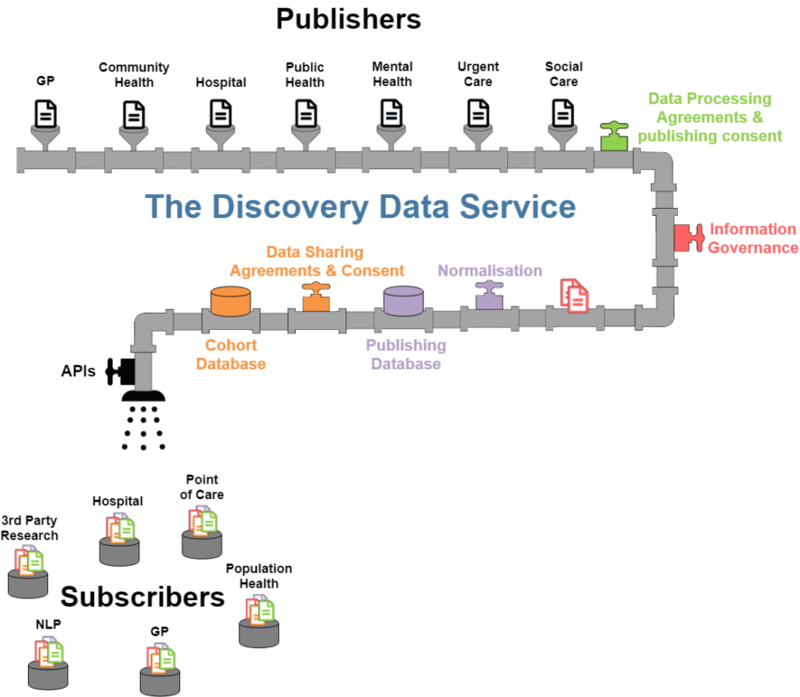 The data service receives data from a number of publisher systems; the data is either sent automatically or transmitted on request by the service. The data within the service remains under the direct control of the data controllers with each item of data stamped by the data controller. The data is then converted to a common format that is directly compatible with FHIR and Snomed-CT. Depending on the data sharing rules, prior to transmission, the service links the data at a patient level by NHS number. A subset of the data, for example a cohort of patients, is then made available to subscriber systems. Data is provided either in an identifiable form for direct care, or is de-identified for secondary uses, depending on the agreement. Person level consent is managed according to GDPR and Caldicott policies. The DDS team is working with the Ripple Foundation to deliver patient level data from a single source, in order to populate the Helm Patient Portal.